Just in case you been wondering what type of batteries the new BlackBerry 10 devices will be making use of, we're now getting a glimpse of them. A new blurry-cam video has appeared showing off how to go ahead and insert one exactly and is noted to be packing 1800mAh. I know, it's not the most exciting thing in the world but there is more as well aside from the fact that is clearly not the BlackBerry 10 Dev Alpha being shown there. An image of the beta BlackBerry 10 UI came along for the ride which shows off at least one interesting tidbit -- StoryMaker. 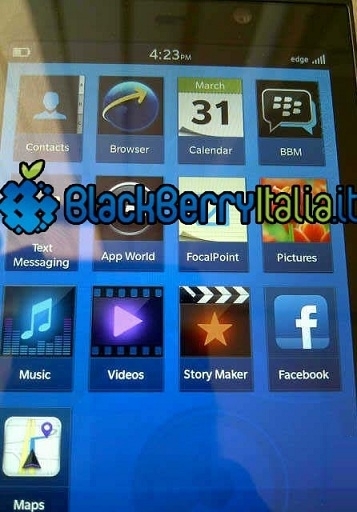 As I understand it, Story Maker appears to be what RIM made of their JayCut acquisition and will offer a sort of onboard video editing solution for BlackBerry 10 devices much like how the photo editor we demoed previously will work as photo editor for pictures. Based off of that, Focal Point could also be the photo editor as well but the icon is blocked so that's just a wild guess. 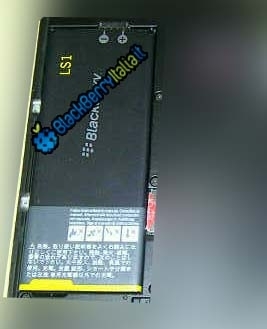 The video indicates the battery will be used in the BlackBerry London as well as the BlackBerry Liverpool. In total, we know there will be six new BlackBerry devices rolled out under the following codenames but one appears missing - London, Liverpool, Nevada, Nashville, Naples. The missing one could potentially be Wynton, which is part of the Curve series. You can check below to see a shot of the battery as well as the beta UI.